This week, we honour the official Mineral Emblem of our podcast, Bornite, with Ben McHenry from the South Australian Museum softening the news that our rock failed to make the cut of the museum’s revamped Rainbow Minerals Display. Damian and the team from Paracombe Premium Perry came to our rescue and lifted our spirits with two stunning perrys (some say that is another name for pear cider but we are NOT entering that debate) and a new drink that blew our socks off. That’s Nigel 1 pictured with the perrys. Start Up Adelaide weekend just happened and two of the winners join us for a chat about their innovative business ideas and the nature of entrepreneurship in a town where everybody knows your name – or sees you at school drop off! Nigel 1 fills in for Brett and takes us on a journey through the story of the Somerton Man Mystery and its links to ASIO. The Bill Parton Trio help us fall in love again with local music. And it’s the Ashes Test Match at Adelaide Oval and the Smarmy Army rears its head. Shout outs: Steve sent a cheerio to Bev who was celebrating 11 years since her friends came around for an engagement party only to discover it was in fact their wedding. Colin sent a cheerio to Sue who used our Facebook Page to asked for our opinions on the Rolling Stones launching Adelaide Oval instead of local acts – we deferred to Nigel 1. South Australian Drink Of The Week: Damian McArdle from Paracombe Premium Perry delivers a sweet perry, a dry perry and a mystery drink that stunned us all as we toasted our late patron, Queen Adelaide. Tasting notes. Stories without notice: Colin tells off media crews, especially the Channel Nine Adelaide news crew, for parking in the 15 minute zones at the front of the Royal Adelaide Hospital, even though they are meant to be for patient pickup. Steve shares the story of Sammie Lang who tweeted on the weekend that she was parking illegally while grabbing supplies for StartUp Adelaide Weekend. Stories From The Street: Ben McHenry, Senior Collection Manager, Minerals and Meteorites, South Australian Museum, chips in with some quick thoughts about Bornite, our podcast’s mineral emblem. 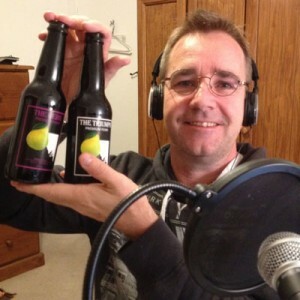 Here is a link to the Adelaide Visa Council’s judgements from episode 015. Adelaide’s Yesterdays with Colin: Nigel Dobson-Keeffe takes through the Somerton Man mystery and the reason why it is related to the formation of ASIO.